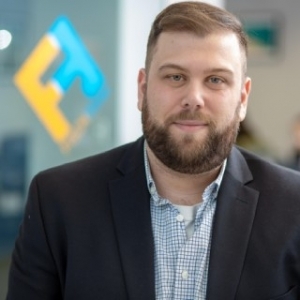 Russ Pagano is an Account Manager at FischTank with experience working with clients in various industries including technology, financial services, and automotive among others. His experiences have taught him that you don’t need to reinvent the wheel to run a successful campaign. Russ sees his client relations as partnerships. He believes that he and his clients need to rely on each other’s expertise and work in tandem to achieve their goals. In his career, Russ has worked with a diverse group of clients to promote products, people, and ideas placing them strategically in front of a variety of media. He has produced opportunities for his clients in essential media outlets including CNN, Bloomberg, the Wall Street Journal, U.S. News & World Report, FOX News, CNBC, the Washington Post, and the LA Times. Russ graduated from Mount Saint Mary College in Newburgh, NY with a bachelor’s degree in communications, with a focus in public relations and production and a minor in business. In his spare time, Russ can be found cheering on the Mets, rocking out to the Boss, or checking out the latest movies.